On September 30th 2014, Microsoft unveiled its vision for its next generation operating system. Yesterday in Redmond, Washington, Microsoft updated this vision with a 2 hour long keynote “Windows 10: The Next Chapter”. Getting the next version of Windows right is crucial for Microsoft as they battle the onslaught of mobile operating (Android and iOS), as well as balancing the need for bleeding edge innovation for consumer features with the conservatism of enterprise customers. After the debacle of Windows 8, Microsoft has finally got it right. NOTE: I have been using Windows 10 Technical Preview since Windows 10 was released to Windows Insiders. Go here for my review. Microsoft will ensure that Windows users have a seamless experience as they move between devices throughout their day. Windows 10 will be a free upgrade to all users of Windows 8.1, Windows 7 and Windows Phone 8.1 for the first year it’s is available. Once upgraded, those devices will always have the latest version of Windows for the supported life of the device. No information was provided for users on other platforms like XP or Vista. My suggestion is that if you are running one of versions of Windows, you should seriously consider upgrading. Unlike Windows 8, that was built under wraps and with minimal collaboration from users, Microsoft created the Insider program to allow users of the Technical Preview to directly impact Windows 10 features. Since October 1st 2014, 1.7 Million people in 226 geographic locations all over the world have signed up to be Windows Insiders. They have provided 800,000 feedback items in 200,000 topics and installed Windows 10 over 3 million times. This ensures that Microsoft creates the best Windows Experience for its users. You can sign up to be a Windows Insider here. As Windows 10 runs on a wide range of devices and form factors, the Windows 10 interface is tailored the device being used. Gone is the jarring experience when a user jumped from Desktop to the Metro start screen on a laptop to the Windows Phone interface. And for the first time in Windows, Phone users will be able to be able to run the desktop on their mobile devices. Microsoft also unveiled new universal apps which will run across all Windows 10 devices. The new version of Office brings the full power of the Office Ribbon to mobile devices. Microsoft has also update the mail app with native gestures for deleting and sorting emails, an improved calendar app and people app. The benefit of Universal apps is that developers can code applications just once and target a wide range of devices with minimal effort. Universal apps are key to Microsoft’s strategy to build developer engagement for their platform. This will help resolve the sticking point of many users who are used to the diverse app ecosystem of Android and iOS. As much as Internet Explorer has been a staple for the anyone who has used the internet, it also has a tainted history. Poor performance, security issues and incompatibility with changing web standards. Even though IE10 and IE11 have gone a long to dispel this perception, Microsoft understands that to keep their market share as the leading web browser, they had to exceed competition. Code named Spartan, Microsoft’s new browser is built from the ground up with a new rendering engine that is fast and fluid, supports chrome extensions and allows innovative features such as digital ink marking. Spartan (not the final product name) will come to Windows 10 insider builds later in the year. In one of the most surprising announcement of Windows 10, console gaming and PC gaming become merged into one experience. Users who own an Xbox One console, will be able to stream any of their games on their Windows 10 devices, anywhere in the world. Users will be able to share clips of their games to social networks. Microsoft also unveiled the latest version of DirectX12 which brings better graphics at higher and smoother frame rates without an impact on current hardware. DirectX12 also focuses on reducing power consumption by 50% compared to DirectX11. This is great news for mobile games as users can play longer. Users will be to play interactive games regardless of device (one player could be on Xbox One and other players could be on a Windows 10 device). This feature will be a huge differentiator between Xbox and PlayStation. As with the Surface, Microsoft has committed to creating new hardware categories that showcase the software innovation of their ecosystem. In this vein, Microsoft unveiled two new hardware products. The next version of their perceptive Pixel division, The Surface Hub and an industry first, the Holo Lens which takes augmented reality to the next level. The Surface Hub is a large 84 inch device that brings an integrated hardware and services approach as well utilizing natural UI like speech, digital ink to improve productivity in meetings and team scenarios. Microsoft Surface Hub introduces a new large screen device designed for the way teams in the workplace naturally interact and come together. Custom versions of Skype for Business and OneNote are integrated into the Windows 10 shell to take full advantage of the built in cameras, sensors and mics, as well as the new screen that was built from the ground up for ink and touch. The Surface Hub features state of the art digital white boarding, instant remote conferencing, the ability for multiple people to share and edit content on the screen from any device, and a trusted platform for large-screen apps. Available in two sizes – 55” and 84” – the Surface Hub removes the current limitations of traditional conference room scenarios to empower teams to create their best work together. Microsoft HoloLens is the world’s first untethered holographic computer – no wires, phones or connection to a PC needed. Microsoft HoloLens allows you to view holograms in high definition and hear them in surround sound, even if they are behind you. And with advanced sensors, Microsoft HoloLens can see what you are looking at and understand what you are communicating with your hands and voice. By putting you at the center of the Windows 10 computing experience, Microsoft HoloLens allows you to create, access information, enjoy entertainment, and communicate in new and exciting ways. Once the latest Windows 10 build is released, we will write a full in-depth hands-on review cataloging all the changes. Stay tuned for more news. Looks like this is good news.. With the huge Number of technical users to aid development, I have huge belief this will have no hiccups. I cant wait for the roll out..Were any dates given? And what about hardware compatibilities? They talked about summer, I assume summer is around May. But insiders probably get it much earlier. Sign up to be an insider. Not sure I heard about hardware capabilities but that’s something to explore. 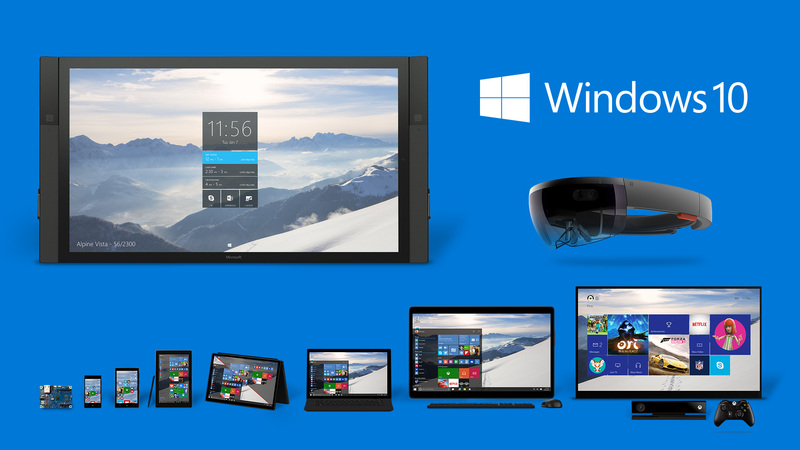 The official release of Windows 10 will be early Q4 (October / November 2015). However you can head over to Windows Insider and sign up for the January Technical Preview (link is in the article). It’s totally free. As far as hardware requirements, Windows 10 has the smallest foot print yet of all Microsoft OS’s. It will even install on Net-books from 2008.